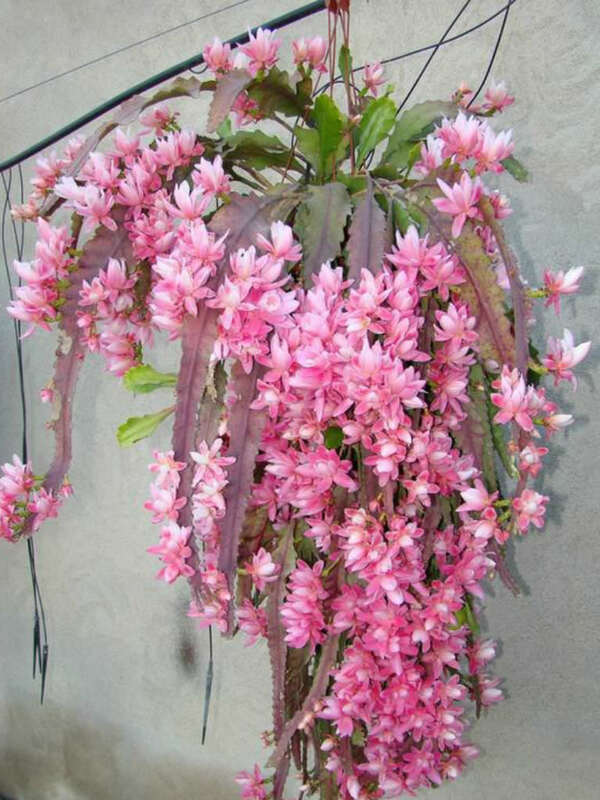 Disocactus phyllanthoides is an easy to grow, jungle cactus with green or reddish stems, up to 3.3 feet (1 m) long or more, branching, primary stems up to 16 inches (40 cm) long and 0.25 inch (6 mm) thick, woody at base, flattened at apex. The secondary stems are flat, lanceolate, acute with coarsely scalloped margins, toothed, up to 12 inches (30 cm) long and up to 2 inches (5 cm) wide. 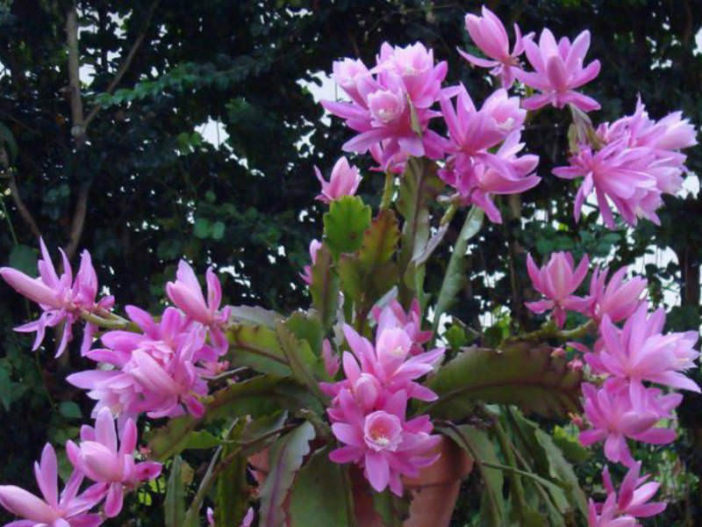 The flowers are funnel-shaped, pink in color, up to 4 inches (10 cm) long and up to 3.5 inches (9 cm) wide. The fruits are ellipsoid, up to 1.6 inches (4 cm) long, with low ribs, green at first, later red. 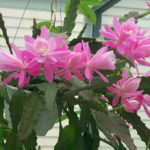 Many of the cultivated plants known as Epiphyllum hybrids are derived from crosses between species of Disocactus (rather than Epiphyllum) and other genera in the Hylocereeae. 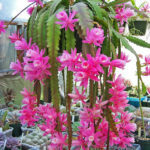 Disocactus should be grown in a rich but still well draining soil. They should be watered regularly and fertilized as well. This is essential for good growth and flowering. During the growing period the plants need frequent watering. 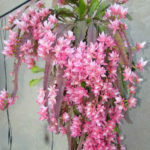 The waterings should be rather abundant, so that the soil becomes completely soaked, but let dry between watering. Keep relatively dry in winter or when night temperatures remain below 50 °F (10 °C). 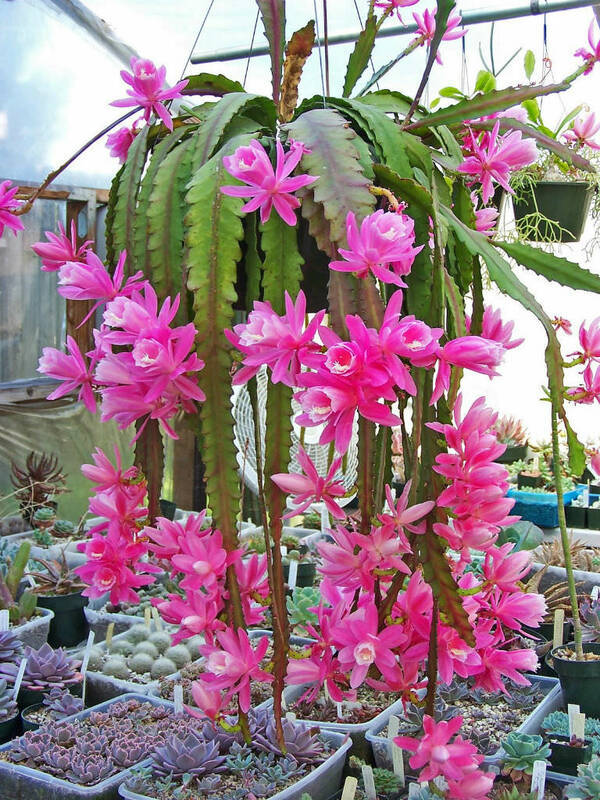 These cacti dislike extreme heat and cold, so they are best green-housed during the depth of winter and heat of summer in hot dry climates. They also prefer shade to sun and like a little extra humidity in the air. 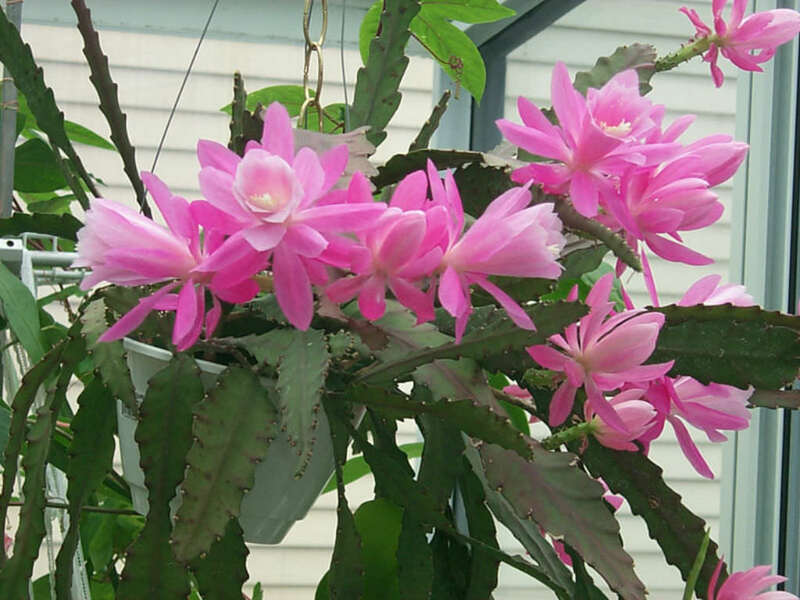 Native to Mexico (Puebla, Veracruz).